Stocks that trade under one dollar are often referred to as penny stocks. A penny stock by definition is a small cap company that trades under $5 per share. There are several pros and cons to trading stocks under $1 per share. In this brief article we will explore some of the best stocks trading for under one dollar, and teach you the skills you need to find them on your own! ( NASDAQ: RWLK ) – Pop culture has fantasized about a future full of robots and droids for over a hundred years. Today, advances in technology have brought that fantasy closer to reality than ever before. ReWalk Robotics designs robotic exoskeletons for medical purposes. The company offers several products. ReWalk Personal is designed for in-home use by paraplegic patients. Rewalk Rehabilitation is a model used in hospitals and rehabs across both the U.S. and Europe. They even have a model designed for stroke patients called ReWalk Restore. This stock fell out of favor with investors in 2016 after three consecutive earnings misses, but it went as high as $10 before falling back to Earth. Now trading at less than $1, this stock is a steal at this price if it gets even close to those all-time high. Zacks recently initiated coverage for this stock with a HOLD rating, and the company has beat earnings estimates for two years straight! ( NASDAQ: VLRX ) – Valeritas runs a “commercial-stage” medical technology business that specializes in developing and commercializing drugs to treat Type 2 diabetes. The company has distribution streams in both the U.S. & China. Almost 30 million Americans suffer from diabetes alone, so there is a huge market for Valeritas products. The company hasn’t turned a profit as of yet, but it has been slowly but surely creeping towards profits. It missed Q4 2018 earnings estimates by a small figure, depressing the stock even further. The stock has been beaten down as of late, but rising volume on relatively stable price action makes some proponents of TA think this stock might be in an accumulation phase, waiting to make a move. If Valeritas shareholders get any surprise good news from the company, the stock has a lot of room to run to the upside. ( AMEX: GSAT ) – Globalstar is a telecommunications company that specializes in providing satellite-based mobile voice & data services to customers across the globe. It has a rather large market-cap in comparison to our other stocks, with a valuation of about $570 million. The company’s satellite service allows them to access markets where traditional mobile services are not available, so they are positioned well to take a large market share in countries with poor telecom infrastructure. The company missed on earnings in both Q3 & Q4 in 2018. As a result, the stock is trading within $.15 of its all-time lows. The street is bullish on this stock in the long-run, and the stock’s RSI is creeping towards oversold. These factors could contribute to a big jump in the share price if the company delivers on their next earnings report. 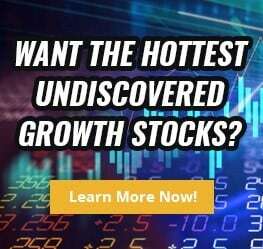 Breaking: Want The Best Stocks Under 1 + Market Updates Sent To You For FREE? Join The Stock Dork Today! ( OTC: RGSE ) – If you haven’t already guessed, Real Goods Solar provides residential and small business clients with a variety of solar-power services. The residential unit installs solar panels, even offering lease financing. The company also manufactures solar panels under the brand name POWERHOUSE. The company uses outside sales and marketing teams to help sell its products, and it maintains several different distribution channels. Like most of the other stocks on this list, this one has been under selling pressure as of late. Missed earnings for Q2 & Q3 2018 haven’t helped the stock break out of its short-term downtrend. However, the company has been improving. The company’s EPS has grown at a rate of over 90% for the trailing twelve months. If they meet expectations on their next earnings report, the stock could see big gains. ( AMEX: HEB ) – This company operates on the cutting-edge of the biotech field. Antiviral treatments have made huge strides in the past, as researchers seek to development for effective treatments for viral illnesses like HIV & Hepatitis C. The company currently produces drugs for the treatment of genital warts & CFS. Drugs are being developed to treat CFS, Hep-B, HIV, & cancer patients, as well. The fate of Hemispherx will be determined largely by drug research and government approval. If their able to commercialize the drugs they are currently developing revenues should increase dramatically, and the share price will likely see big gains, as well. As a micro-cap biotech company, the direction of the stock is driven primarily by investor sentiment, so expect any bad news to have an inverse, and much more dramatic, effect on share prices. ( AMEX: NAK ) – Northern Dynasty is a mining company. It’s primary asset holdings are included under its Pebble Project, holding over 2,000 mineral claims and covering over 400 square miles of Southwest Alaska. Their principle mines produce copper, gold, molybdenum, and other minerals. After years of poor performance, the stock has been in an uptrend since the end of 2018. The stock was worth as much as $15 in the past, but has obviously lost a significant amount amount of market-cap since then. If the stock has bottomed, however, than time might be running out to get in cheap. The company has been under some pressure lately regarding the environmental impact of its Pebble Project. The U.S. Army Corp. of Engineers is currently creating a Draft of Environmental Impact Statement (DEIS), but their preliminary review found “no significant environmental challenge”. If the project goes through, the stock may see a reaction. However, it’s likely that expected approval has already been priced into the recent gains in share prices. ( NYSE: RAD ) – Though still considered a micro-cap stock, Rite Aid has the largest market-cap of any of the other stocks on our list at about $730 million. However, Rite Aid has a vanilla business models in comparison to our other picks. The company operates over 2,500 retail pharmacies in the U.S. with operations in 19 different states. In addition to pharmacy, the company sells basic consumer needs products like groceries and cosmetics. Rite Aid also operates small clinics that treats common conditions, offers preventive screenings, provides immunizations, and more. The company has hovered around breaking even for the past three quarters, turning a profit in Q3 2018 of about $.01 EPS. The street is predicting losses of -$.01 for Q4 2018, but if the company has a good quarter they can potentially beat earnings and turn a profit. This stock was trading for more than $2 as recently as June, so don’t count Rite Aid out. With some patience and a little bit of good luck, this stock can potentially regain its former heights. Typically stocks under 1 dollar receive little to no coverage by Wall Street analysts. That means they are volatile in nature. However, it’s this volatility that creates tremendous opportunity to see extraordinary returns. On February 3, 2017, UBI Blockchain Internet LTD (OTC: UBIA) was trading at around $0.55 per share. In less than 8 months, the stock traded as high as $115 per share. If you bought $1k worth of stock back on February 3 and sold the highs on December 15, you would have made over $200K in profits. It’s these type of returns that draw so many people into stocks that trade for under one dollar. Robinhood, a commission-free broker, does not support OTC stock trading. For this reason, using Robinhood to trade stocks under one dollar can be a little prohibitive. With that said, there are still many cheap stocks, trading for under $1, that can be traded using Robinhood. The problem is that, with Robinhood, you can only trade stocks that are listed on the major exchanges, such as NASDAQ and NYSE. Why Do Stocks Under $1 Sometimes Fly? These companies don’t have a lot of institutional ownership. Meaning, they are not generally owned by mutual funds and hedge funds. These stocks get practically no media attention and go virtually unnoticed by the general public. Circumstances like these create opportunities for savvy traders that are willing to do their own research. You can find stocks trading for less than $1 on all of the major stock exchanges, including the NYSE, Nasdaq, and AMEX. In order for a company to list on the NYSE and NASDAQ, they must first meet certain accounting and compliance metrics. However, listing on an OTC market gives smaller companies more flexibility, so many of the best stocks trading under $1 are not listed on the major exchanges. Read More: How To Get The Best Stocks Under 1 Delivered To Your Inbox For Free! Most analysts don’t bother with cheap stocks, so it’s up to you to do your own research. Many “analyst” opinions of these stocks come from newsletters and bloggers. Most of them are not professionally qualified to give you financial advice, so you shouldn’t place too much importance on many of the analyst ratings floating around the internet for these stocks. You have to become savvy at reading press releases, earning statements, and financial documents to play in this space effectively. That’s where most of the information on these types of companies can be found. Unreputable companies will often issue press releases to pump up their share prices. However, genuine press releases often give shareholders important information that can have a big impact on share prices. If you’re new to trading it will take some time before you’re able to differentiate hype from genuine, useful information. Read and follow trends. The fastest moving penny stocks are ones that are “in play.” If you’re able to spot a trending sector or a stock that has had an explosive move, look for companies in the same sector that have yet to follow the trend. For example, UBI Blockchain Internet LTD. benefited from the parabolic rise of bitcoin. For most traders, it was easier to buy shares in UBI than to open a cryptocurrency account and buy actual bitcoin. As a result, traders scrambled into UBI to try and get in on the craze. Mega-trends like these don’t last very long. You have to strike while the iron is hot. The OTC Market website is a good place to state. You can easily see the largest gainers and losers in the OTC markets. Look for stocks that are in the same sector making big gains. Then, look for other stocks in the same sector that have not yet followed along the uptrend. You can also join a stock alert service like this one! Regularly read press releases. A positive press release is often the catalyst for big gains in share prices. Be wary of social media. There are jewels of knowledge that are hidden amongst the deluge of armchair opinion on social media platforms, like Twitter and StockTwits. However, strongly consider the source of the information and how reliably you believe this information to be before believing its authenticity. Always do your own research. Make sure to visit the company website and vet the available data for yourself. If you’re searching for companies trading on the major exchanges, you can use a scanner like one found on finviz.com.ALWAYS HAVE AN EXIT STRATEGY. If you’re buying a stock for quick trade, don’t fall in love with your position. Ride the wave and move on. If the share price doesn’t behave as you expected, don’t hesitate to exit liquidate your holdings. I hope these quick tips can help you find some of the best cheap stocks under $1 before they make their big move! But we want to know what you think! What dollar stocks are you keeping an eye on? Leave a comment below and let us know whether you’re trading or fading dollar stocks. I am in my infancy in this,still learning vocabulary n terms. Interested in otc market. Do I have to have a broker or is this something I can do myself.